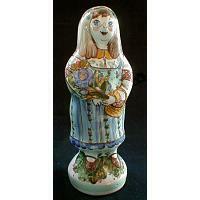 It was way back in the 18th century, when the founder of Russia's porcelain tradition, D. I. Vinogradov, made the first porcelain figurine. It was a figurine of a bear. Since then porcelain figurines have been basically made the same way: by hand from "hard" and "soft" porcelain (the difference is in the firing). Being handmade, each figurine is unique and unparalleled. 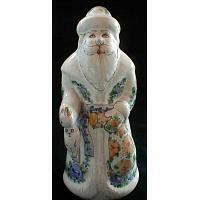 The porcelain figurine in front of you has been carefully hand-painted and hand-glazed in Russia. Would make a wonderful little gift. Imported from Moscow, Russia. Height: 7.2 inches.